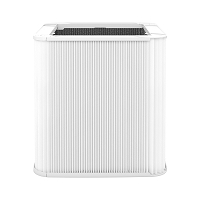 Home > Air Purifiers > Blueair Air Purifiers > Blueair 211+ Air Purifier - Blue Pure by Blueair - Quiet, ultra-compact for rooms up to 540 sq. ft. 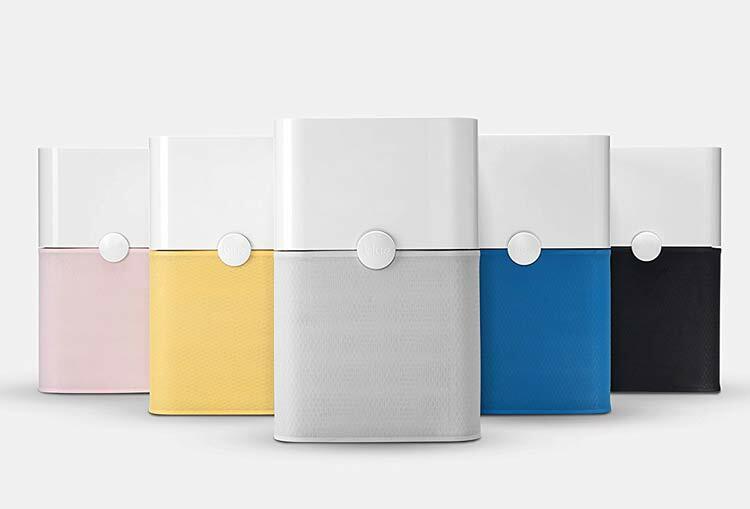 Quietly purifies your air in rooms up to 540 sq.ft. 5 times an hour. Compact, only 21" high and 13" square. 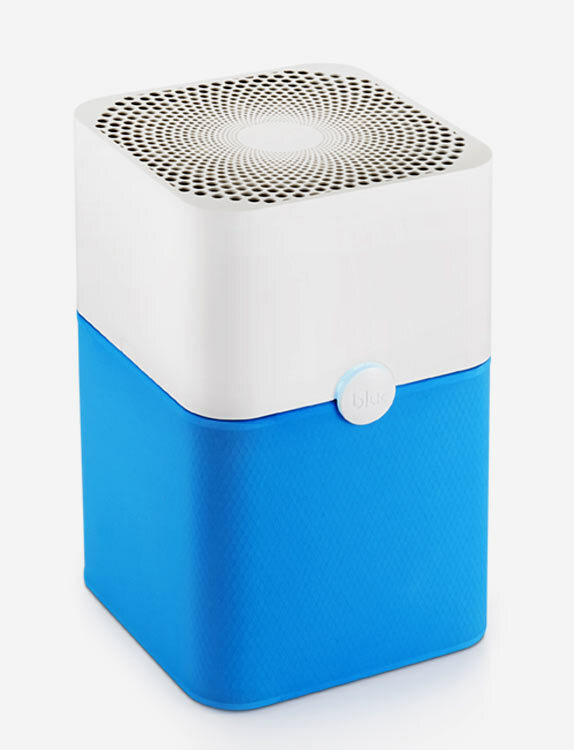 The Blueair Blue Pure 211+ air purifier effectively purifies air in small rooms up to 540 sq. ft. That's like a 20'x27' room! An amazingly effective, compact and cost friendly, top-rated room air purifier. 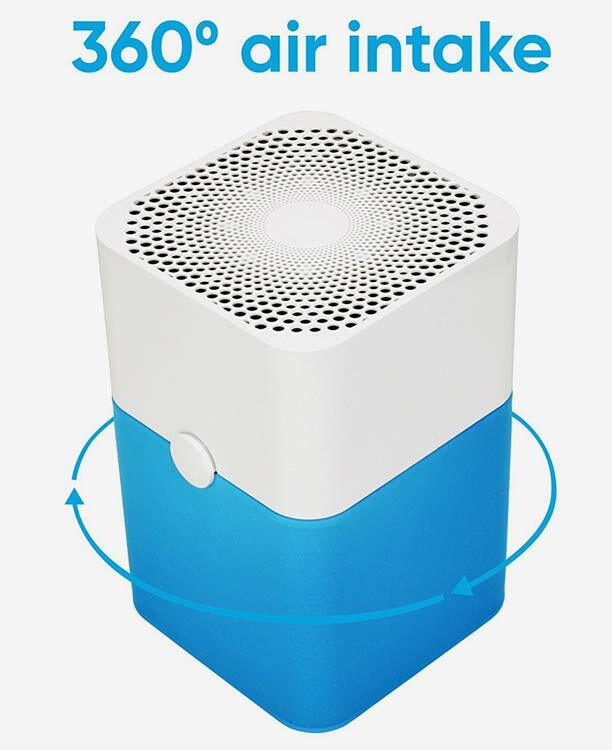 The new Blueair Blue Pure 211+ room air purifier is probably the smallest air purifier to purify the air in a 540 sq. ft. room size 5 times per hour! 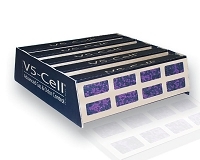 Ships with the Particle Filter plus Activated Carbon filter and Diva Blue and Dark Shadow fabric pre-filter covers. Recommended for Allergies, Asthma, Odor & Chemical, Smoke, General Air Purification. Rated #1 by the leading independent consumer testing agency. Use Coupon Code "aten" and save 10% on your air purifier purchases. Blueair Blue Pure 211+ is the ideal choice for allergy sufferers and other health-conscious individuals that need high-efficiency air purification without Ozone. 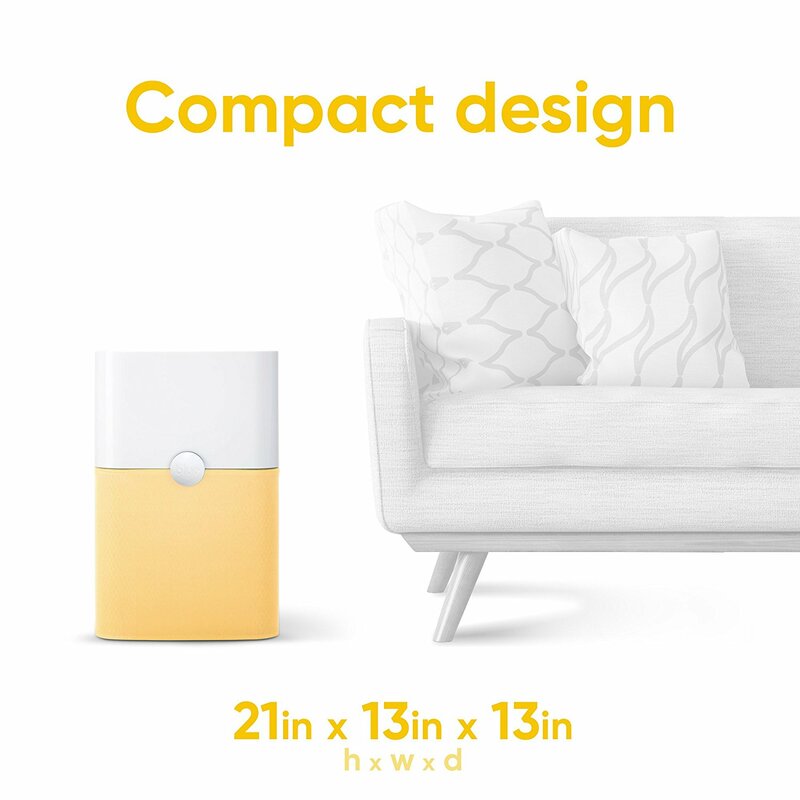 The unit contains one filter that contains millions of ultra-thin fibers trapping progressively smaller harmful particles down to 0.1 microns as they pass through the filter and an activated carbon filter for smoke, VOC and odor control. The Blueair particle filter effectively removes every type of particulate air pollutants, including allergens, pollen, mold spores, dust, pet dander, bacteria, and viruses. Blueair is a great choice for people suffering with allergies, asthma, or other respiratory conditions, or for anyone who wants cleaner, more breathable air. The Blueair Blue Pure 211+ is among the most compact, highest energy efficient and quietest operating air purifiers in its class. Uses about as much energy as a light bulb! Compact 13" square by 21" tall. Blueair Blue Pure 211+ systems offer an exceptionally long product life and carry a 1-year limited warranty, which if you register on the Blueair web site automatically extends the warranty to 2 full years. Quiet: On low speed less noise than breathing, and only 56 db on high speed, quieter than cruising in a Bentley. Energy Efficient: Multiple Operating Speeds: When first turned on, the unit will operate in its most energy efficient cleaning speed. The speed can also be manually adjusted between low, medium, and high. Uses less electricity than a 60 watt bulb. Plug it in, select the speed setting, and forget it. Blueair works so quietly, at first you may find yourself wondering if its turned on. Just check the blue power on light. Blueair filters require no weekly additives or filter washing. When the filter needs to be replaced (twice yearly), just open the unit and swap out the old filters for the new ones. No screws, hooks or tools and less than one minute of your time are required. 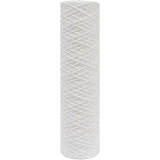 Used filters are 100% recyclable, and release no toxins into landfills or the air. Weight: 13 lbs. Very portable. 1 Year Limited Warranty, easily extended to 2 by registering your unit. Upon the recommendation of BF staff I purchased this air purifier and I am very pleased. The sound on high speed is not annoying and on speed 2 is barely discernible.The outer cover is easy to vacuum to remove dust. 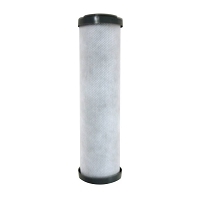 Best Filters is my go to for water and air filters.